"This is not a speech I had to make. It’s a speech I wanted to make... I want to talk about just how incredibly important I think our tourism industry is and what we need to do now to make the most of it not just here in London but right across our country. For too long tourism has been looked down on as a second class service sector. That’s just wrong. 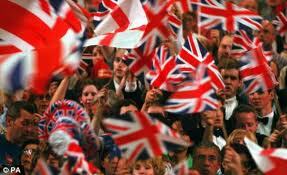 Tourism is a fiercely competitive market, requiring skills, talent, enterprise and a government that backs Britain. It’s fundamental to the rebuilding and rebalancing of our economy. It’s one of the best and fastest ways of generating the jobs we need so badly in this country. And it’s absolutely crucial to us making the most of the Olympics and indeed a whole decade of great international sport across Britain." I've just been to the World Travel Market 2011 at Excel and thought I'd share some images of some of the exhibition stands put on by various countries trying to attract more tourism through the promotion of what is best, distinctive and most appealing. 5. Andalucia - made all the effort to get here but forget to check the spelling of their own name! 6. Poland - a tent - but a memorable tent! London 2012 Festival, a 12-week program of concerts, exhibitions, films and live events which marks the culmination of the four-year Cultural Olympiad. Famous landmarks including Stonehenge and Arthur's Seat in Edinburgh will become giant art installations for the festival. As David Cameron went on to say..."Can we seize the opportunity of this great decade of sport – and especially the Olympics – to deliver a lasting tourism legacy for the whole country and not just here in London? I really believe we can." 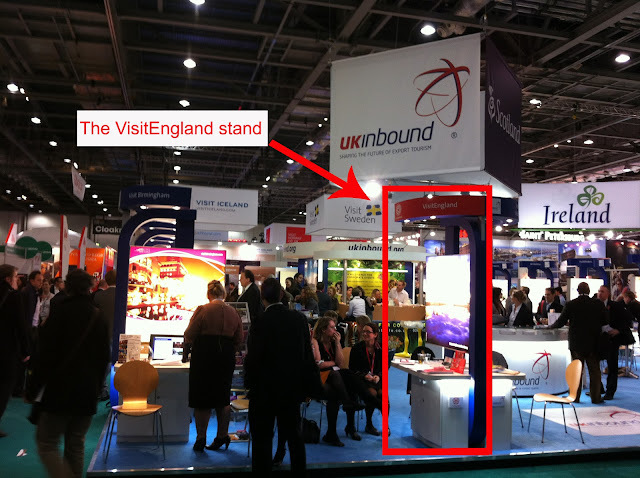 Not on this occasion I'm afraid - not at the World Travel Market, the leading global event for the travel industry!